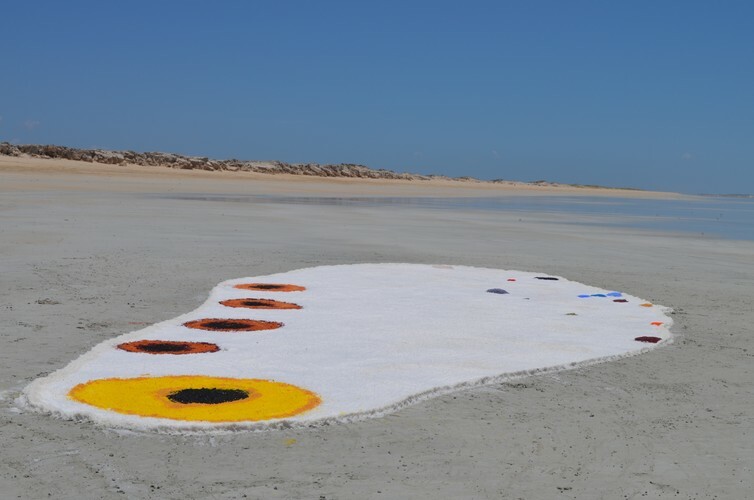 The exhibition is co-curated by Carly Lane, Curator of Aboriginal and Torres Strait Islander Art and Emilia Galatis, Community Liaison & Project Coordinator. Part of Perth Festival 2019. 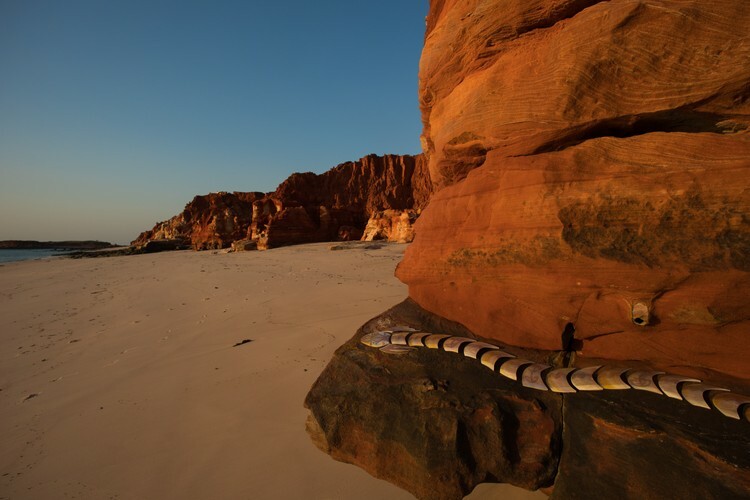 Image credits – Garry Sibosado Aalingoon (Rainbow Serpent) 2018 (detail). Photo: Michael Jalaru Torres at Kooljaman Beach, 2018. 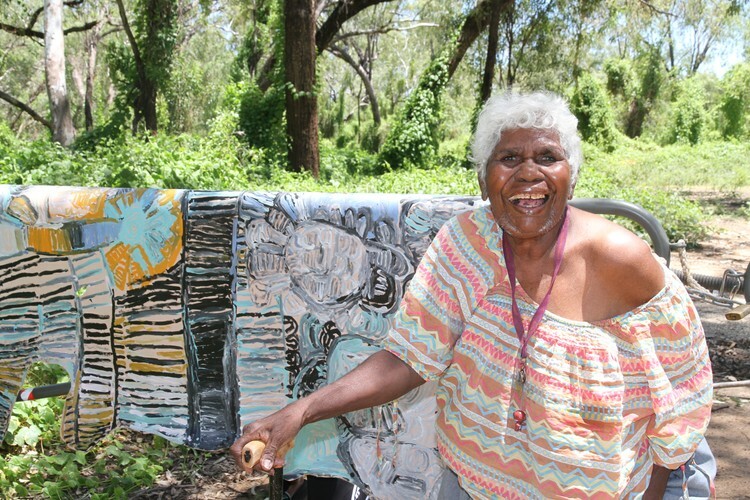 Sonia Kurarra at Danggu Geikie Gorge with artwork Noonkanbah Highway 2018 (detail). Daniel Walbidi Wirnpa 2016–2019 (detail). Sand installation and digital video, dimensions variable. Courtesy the artist and Short Street Gallery.